Warmer weather is coming. Soon we’ll be into spring and then on to Memorial Day, which is the gateway to the summer prep wardrobe – linen, poplin, seersucker and, of course, madras. As with traditional retailers, thrift stores begin to shift focus to the coming season(s). 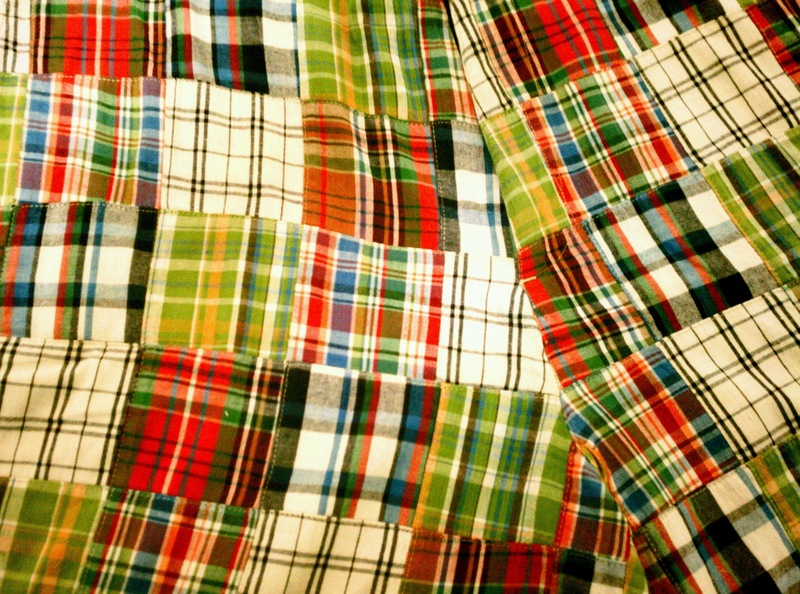 Today, while shopping at Unique Thrift Store in Riverdale, NY, I found not one, but two pairs of excellent madras plaid shorts. One pair was the much sought after patchwork variety, a true summer prep staple, known as “go to hell shorts.” Those bold enough to wear them simply could care less what anyone else thinks. These flat front, Bermuda length shorts were made by Gap (not my favorite retailer by any means and hardly preppy on many things). 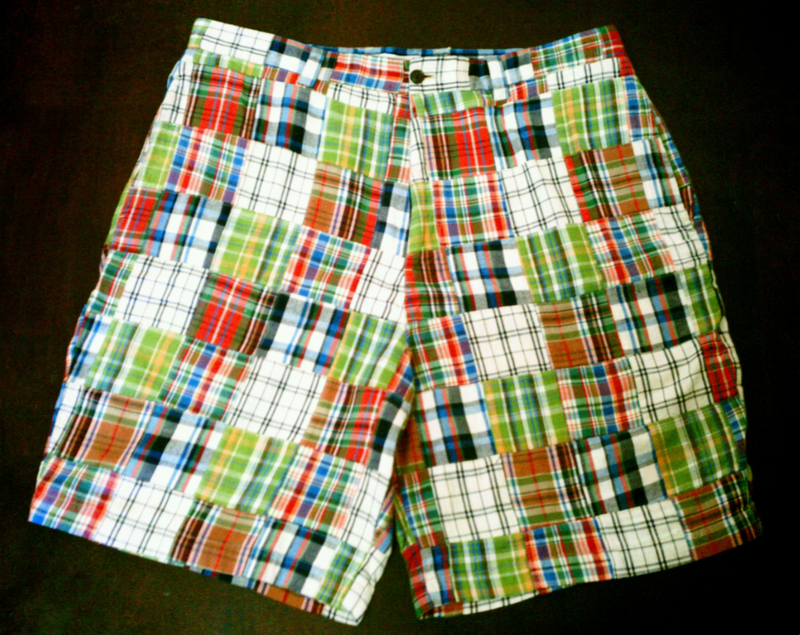 However, they got it right with these shorts made of 100% cotton India madras. The stitching is first rate, and I’m willing to bet that side by side you couldn’t tell the difference between this pair and ones from much more expensive outlets such as J. Press, Brooks Brothers or O’Connell’s. The asking price for mine: $14.00. Brooks asks about $90 to $100 for theirs. With a navy blue Lacoste or Polo shirt (or even a white button down), paired with a surcingle belt, these madras shorts will look great in summer. It’s unusual to find madras of any kind in a thrift store. So when you see it, snap it up. It won’t be around long. It’s even more rare to come across multiple madras items on one expedition, but I was lucky this time. 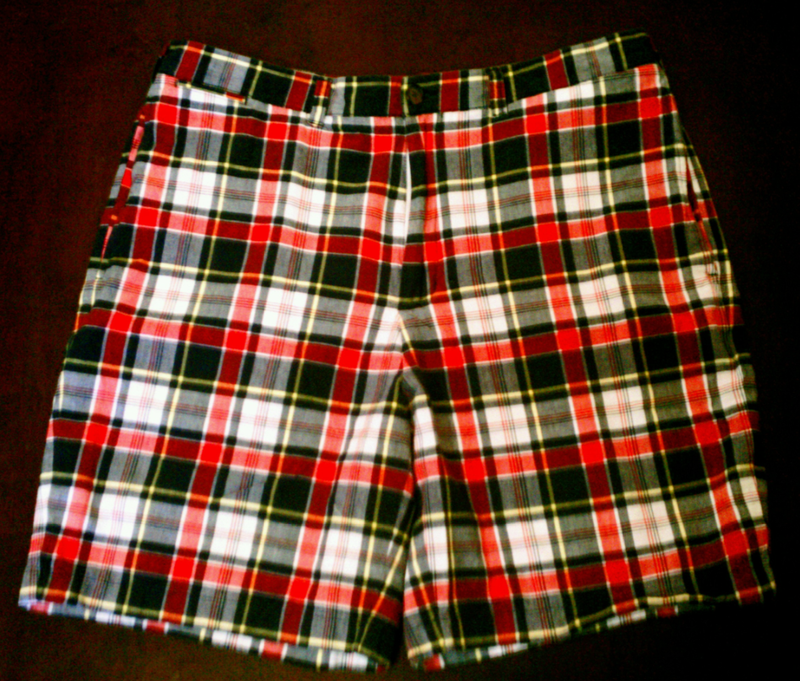 This second pair I found was flat front in Bermuda length with a basic plaid pattern — not patchwork — from Land’s End. The price was $14.00 as well. For another $9.00, I picked up a white 100% cotton oxford cloth button down from Ralph Lauren. It was in perfect condition! We’ve been having some cooler fall weather lately in New York City. Today it was overcast and actually a bit chilly in the late afternoon when I went out to run a few errands. I didn’t want to wear a coat. So I just threw a lightweight down vest on top of my shirt and sweater, turning the shirt cuffs back over the sweater and pushing the sleeves up a bit. 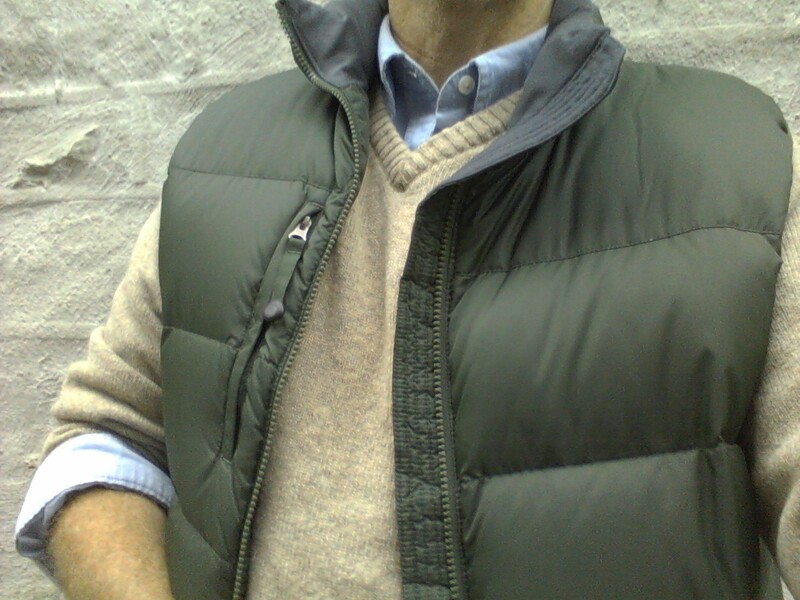 The total cost of all three items was less than $20.00: goose down vest from L.L. Bean ($7.99), 100% lambswool v-neck sweater from Cullen, a brand I’ve never heard of before ($4.99) and 100% oxford cloth button down from Gap ($2.99). While Gap is not an overly preppy company, their button down was very well-made, and the price made it impossible not to buy. I got everything at Unique thrift store (which I post about prolifically) in my neighborhood. The preppy look never really changes. Of course, there have been some trendy tweaks recently by Tommy Hilfiger and Thom Browne among others. Their “preppy updates” were intended to gain traction with a younger consumer base after hipsters began raiding vintage shops and thrift stores, looking to make an ironic statement. It was not long before big names in the hip hop world began sporting the look. All of this doesn’t phase me. I simply like the classic, timeless preppy style I’ve always known – which is well-made clothes without gee gaws or doo dads. The way I dress hasn’t changed in any important way since college, aside from the addition of more suits or cap toe dress shoes.